This is the wrap that exerts a gentle yet effective compression to help relieve pain and discomfort in a shoulder. 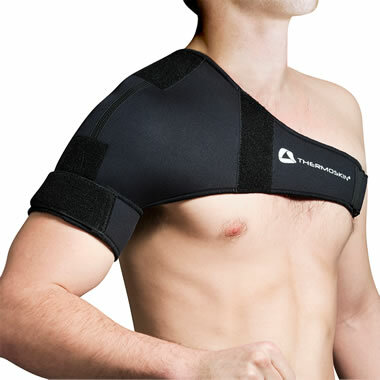 It is made from a special material that increases subcutaneous temperature by up to 3º F, facilitating blood flow, reducing painful inflammation, and improving shoulder mobility. The wrap contours to the shoulder and the integrated straps adjust the level of compression to ensure proper support and optimal comfort during daily wear or while you sleep. The flexible, thin wrap stays in place around the shoulder and chest with hook-and-loop fasteners and its breathable lining has twisted fibers that wick away moisture, ensuring comfort when worn under clothing. The wrap can be worn on either shoulder. One size fits most. 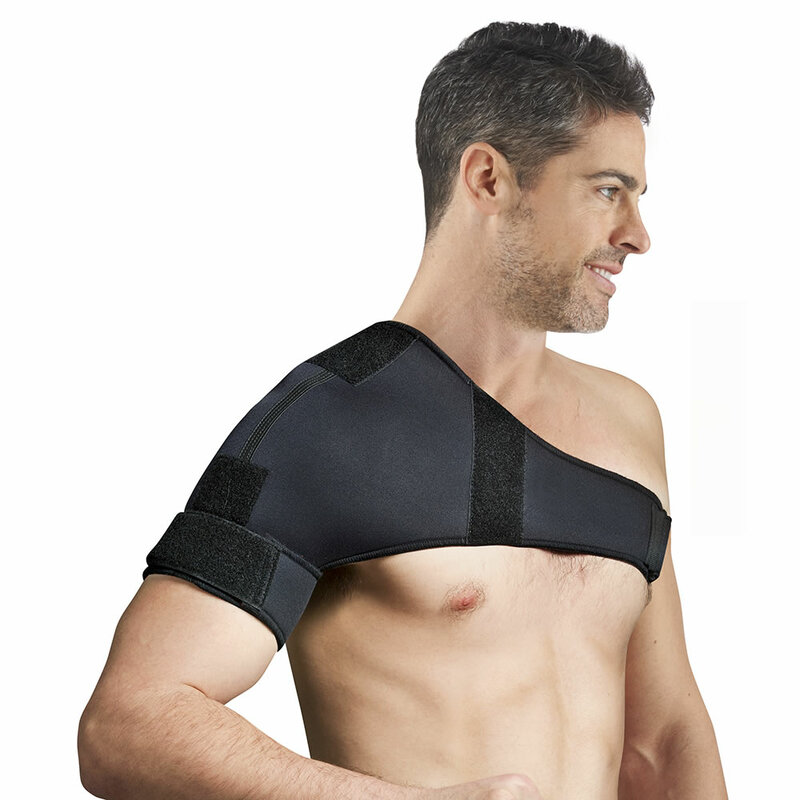 The Shoulder Pain Relieving Compression Wrap comes with The Hammacher Schlemmer Lifetime Guarantee. Items that we sell are guaranteed for their normal life under standard non-commercial use.